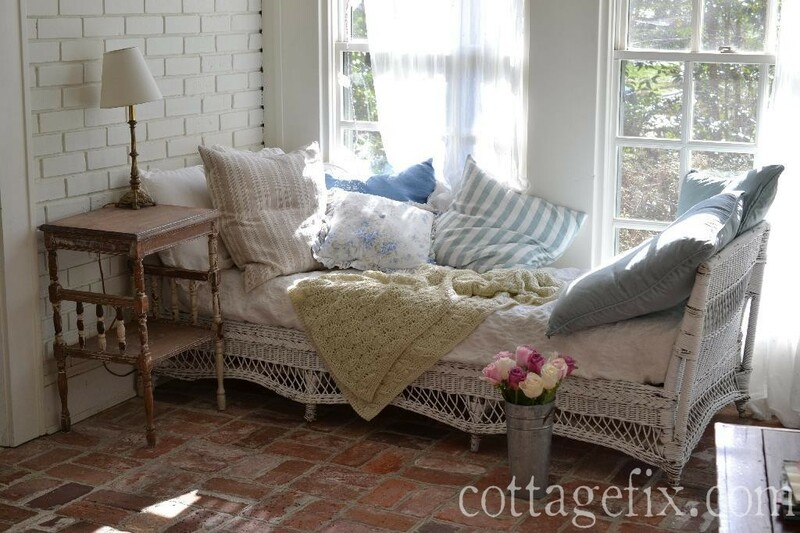 Happy Saturday Cottage Fix friends! 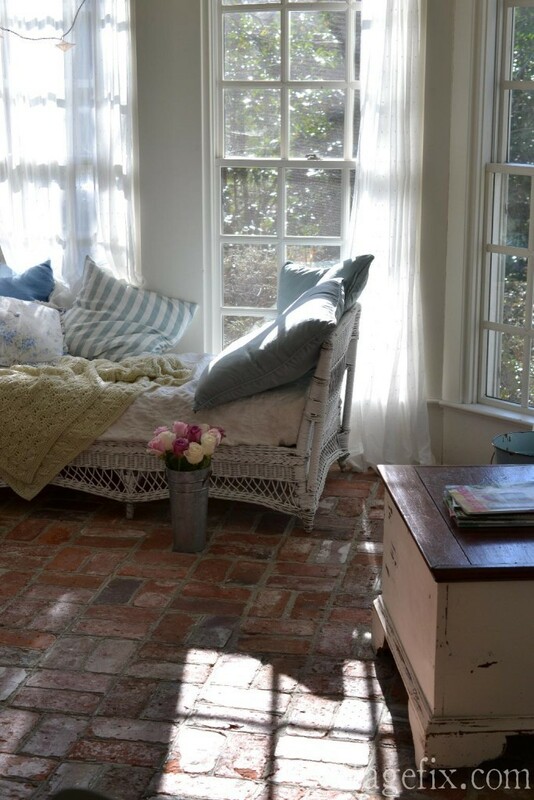 The little shabby cottage that could has sprung a leak. Ya know, that’s the thing about living in old houses… it seems there’s always something in need of fixing. Sometimes I wonder what it would be like to live in a shiny new abode where everything is shiny and new. But from what I hear even the brand spankin’ new homes start needing little projects here and there in no time at all. 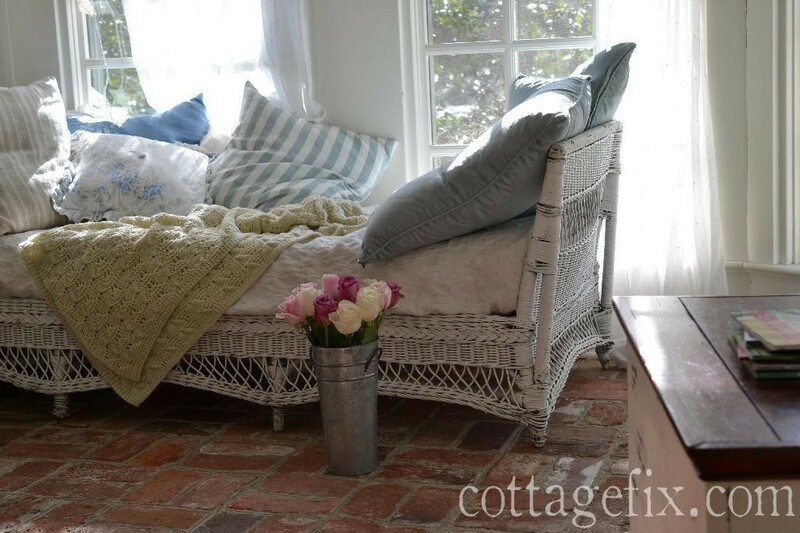 This entry was posted in cottage decor and tagged accessories, cottage, decorating, flowers, shabby chic on February 6, 2016 by sally. No! A fixer-upper has way more charm then a brand new updated home. It’s the little life left in it that charms one soul in the struggle to keep up with the up keep. And yes things go wrong with new home as as well. I think more things went wrong with my 6 year old home then our 250 year old family home in its first few years. Plus the upkeep of an older home is so much more fun with all the charm they hold rather then a new home that lacks the old luster. 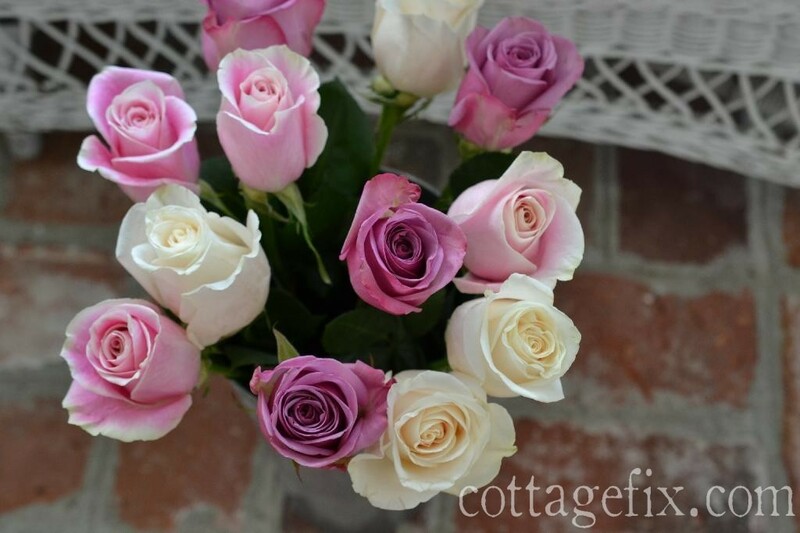 I love you boquet of roses from your hubby in any length. And love letting them dry out in the duration of keeping water in the base the whole during process, they hold there color and beauty, like an old home. Beautiful weekend to you my dear. Oh, sorry to hear your little cottage is having some troubles:( When I was 14 we moved into a bungalow in So Cal that was built in 1920…I literally bawled my eyes out all the way back to our hotel after seeing it for the first time LOL…such a dramatic teenager I was:) My mom and stepdad still live in it and they’ve done a lot to it over the years but it certainly does take maintenance. I think, in the long run, it’s worth it tho! There’s no worse sound than the drip, drip, drip of a leak somewhere in your home! I hope your hubby has it all figured out and it’s not a big fix. I have friends with brand new homes, and they’ve had just as many problems as those of us with older homes. 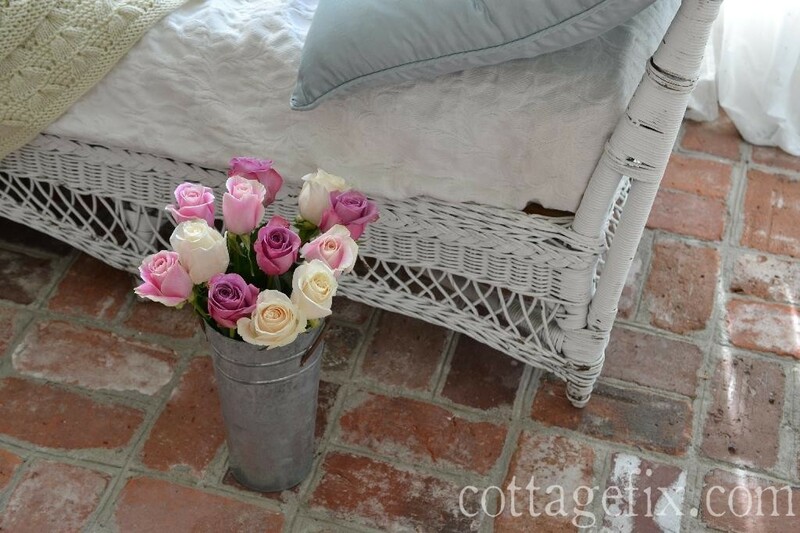 Your sunporch looks like the perfect spot to soak up some sunshine and enjoy your pretty roses! Your roses are beautiful! Houses are always a lot of work to keep up with aren’t they? Hope your leak is fixed by now.